Lesson study (jugyokenkyuu) is a professional development process that started in Japan. Teachers use it to systematically examine their practice, with the goal of becoming more effective. They work collaboratively on a small number of study lessons, including planning, teaching, observing, and critiquing. This work is guided by a goal or research question. One of the teachers teaches the lesson in a real classroom, while others observe, live or via video. The group then discusses their observations. There may be revisions to the lesson followed by implementations in other classrooms. Finally, the teachers produce a report of their findings with respect to the research question. Unit study is loosely based on the lesson study idea, but extended to the larger curriculum unit. As in lesson study, a teacher would present ideas for a unit of study, which could be short, but might extend over a semester or longer. The presentation might include videos of actual lessons taught within the unit, or artifacts of student work, field notes, or other information. Again, guided by a research question, the teachers collaboratively observe and critique the unit. Whereas lesson study sometimes leads to a sense of completion for both the lesson and the implementation, unit study tends to be more open-ended, suggesting new ways of conceiving the unit or entirely new units of study for other situations. Both follow an inquiry cycle, and are ideally viewed as part of continuing study of pedagogy. Japanese teachers typically include the unit plan to contextualize the lesson plan for lesson study. An important aspect of both lesson and unit study as defined here is that they can lead to the formation of a learning community for teachers. The teachers become active creators of curricula rather than technicians expected to carry out procedures defined outside of the context of the classroom. Note that the term unit study, has multiple meanings. In 1917, Columbia established the Lincoln School of Teachers College “as a laboratory for the working out of an elementary and secondary curriculum which shall eliminate obsolete material and endeavor to work up in usable form material adapted to the needs of modern living.” The Lincoln School built its curriculum around units of work. 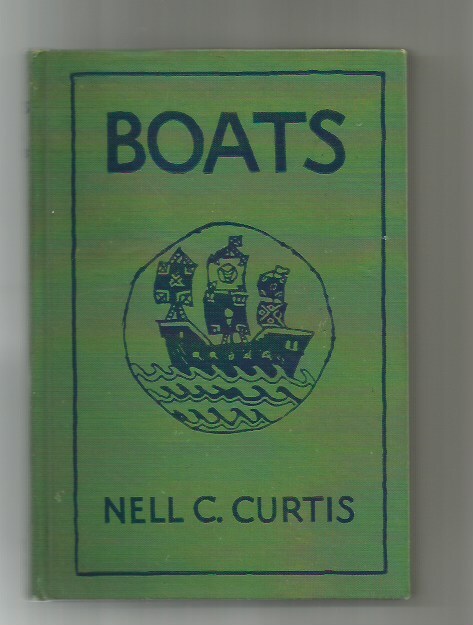 For example, a third grade unit on boats (Curtis, 1927) was inspired by the day-to-day life of the Hudson River. Unit study as a form of curriculum development and professional growth has a vital relationship to unit study applied to something like boats. The teacher needs to become a learner along with the students, both about the subject matter and about the learning process. Curriculum units were first developed for K-12 education, especially for the elementary level. But they can be used for any level or setting. They essentially formalize the idea of learning by doing, or learning through experience that we all do every day. Educators engaged in the study of that unit might then examine a syllabus, readings and other materials, proposed activities, and examples of lessons represented in video or other form. They might alos consider student work represented in writing, drawings, physical constructions, or videos of discussions. They would then discuss how to improve or expand upon the unit, or how to extend it to different situations. They might engage in aspects of the unit in order to understand it better from a student perspective. The exact parameters of any unit study would depend on the particular unit, the instructor, and the other participants. The idea is to get enough of a sense of the unit that participants can make useful feedback. The instructor would typically describe what he or she is trying to accomplish, then lead some activity so that others can imagine what the student experience is like. Then, they would discuss the unit together, emphasizing constructive ideas and extensions to other areas. There might be a part before a break which is the unit itself, and a part after that is mostly a meta-unit discussion. Participants are then playing two roles, one as students learning through the unit and one as co-instructors helping to understand it better. One thing the unit study activity highlights for me is how little opportunity teachers at any level have to work with colleagues to improve their practice. When we talk about that at all it’s usually in terms of implementing ideas from on high or dealing with the mechanics of testing and teaching evaluation. Bauer, Susan Wise (2015). Thoughts on unit studies. Curtis, Nell C. (1927). Boats; adventures in boat making. Chicago, New York: Rand McNally. Takahashi, Akihiko, & Yoshida, Makoto (2004, May). Ideas for establishing lesson-study communities. Teaching Children Mathematics, pp. 436-443.